Du kannst „Evolve Bamboo GTX All-Terrain“ deinem Warenkorb nicht hinzufügen, weil das Produkt derzeit nicht vorrätig ist. Das Evolve GT Bamboo All Terrain ist vermutlich derzeit eines der besten und qualitativ hochwertigsten elektrischen Street-, Longboards am Markt. 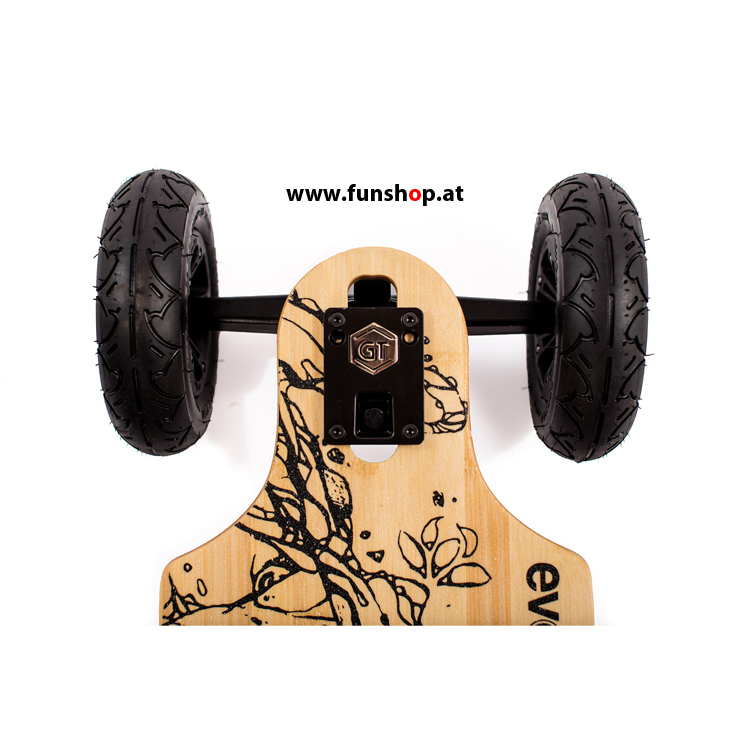 Innovative akkubetriebene Fortbewegungsmittel und LifeStyle-Produkte für den urbanen Raum wie das neue Evolve GT Bamboo All Terrain Elektro-Skateboard sind in unserem Onlineshop erhältlich und Sie können dieses Longboard natürlich auch bei uns im FunShop Wien testen und kaufen. Die Reichweite der Evolve Boards ist um ein Vielfaches höher als bei anderen Boards. Das GT Bamboo All Terrain erreicht eine Reichweite von 20 km, getestet von einem erwachsenen Fahrer mit 75 kg bei mittlerer Geschwindigkeit. 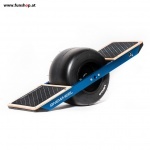 Die Evolve Street Boards sind unter 8kg leicht und haben trotzdem eine riesige Reichweite. Aus sicherheitstechnischen Gründen empfehlen wir beim Fahren mit dem Evolve Elektroskateboard GT Bamboo All Terrain einen hochqualitativen Helm wie z.B. den POC Crane Commuter zu tragen! Anleitungsvideo wie man beim Evolve GT Bamboo die All-Terrain Räder schnell und einfach auf die Straßenräder umbaut. The Bamboo GT AT Series easily takes the paths you know, and begs to find the ones you don’t. A comfortable flexi bamboo deck combined with Evolve’s all new 7” All Terrain pneumatic hubs and tyres means this board is up for any challenge! 3000 watts of twin brushless sensored motor power, coupled with a powerful lithium battery will give you a range of up to 20km per charge – turning any road or path into the endless powder run of your dreams. The Bamboo GT AT will give you the ride you’re looking for no matter the season. A simple beachside cruise to grab coffee, the grass field shortcut commute to work, gravel tracks and steep hills. The Bamboo GT AT means you won’t need an excuse to take the long way home, you will need an excuse not to. – Deck material: 7 ply Canadian maple hardwood and 2 ply bamboo vertically laminated deck with W concave and drop down style for low profile riding, comfort and pop! There is a good amount of flex for maximum control at all speeds and the deck shape locks in the riders feet whilst riding. 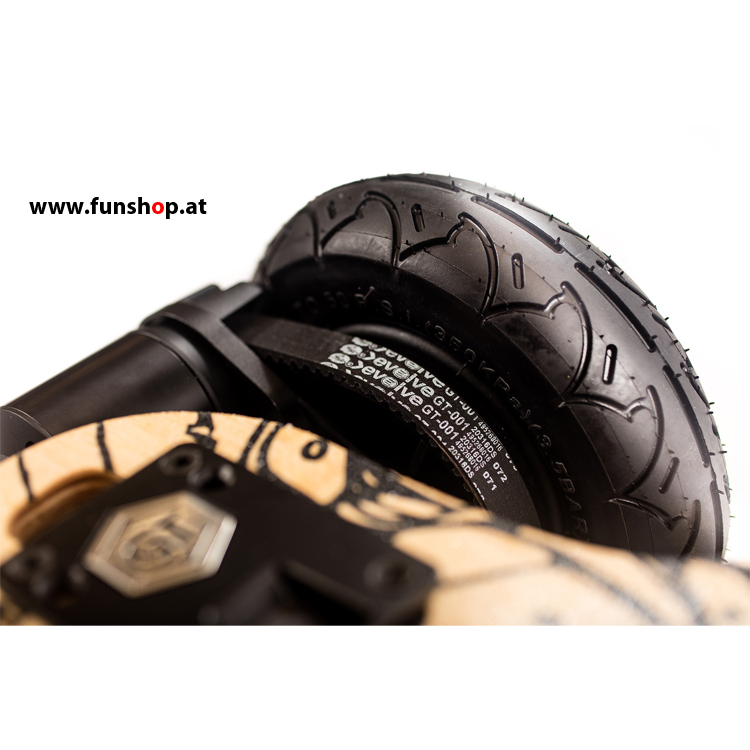 – Wheels: Evolve 7” All terrain wheels for the All Terrain GT board. Also compatible with the GT board with the Street setup (available separately) is the black Evolve GT 83mm 76A, Loaded Longboard 80mm Kegels and Abec 11 flywheels (83mm, 90mm and 97mm). – Battery: Custom designed 36 volt 7AH Lithium Ion. – Recharge: 3-4 hours with standard charger (Optional fast charger 80mins). 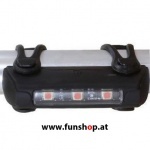 – Range: Up to 20km. Varies depending on rider weight, terrain and riding style. – Top Speed: Approx. 35-41kph/22-25mph depending on tyre size. Speeds may vary depending on rider weight, battery voltage and terrain. – Regenerative Braking: ABS firm & smooth braking providing power back into the battery with maximum control over speed. Has the ability to bring you to a complete stop if required. – Terrain: Any hard or compact surface ie tarmac, bitumen, concrete, short grass, dirt, uneven and poor terrain surfaces. – Slides: No, unless on gravel or grass surfaces. Please see this video guide on how to take the AT wheels off a Bamboo and put the street wheels on.